Waterproof overjackets are the kind of thing you dont want to have to take out with you, especially when the weather is as good as it has been. 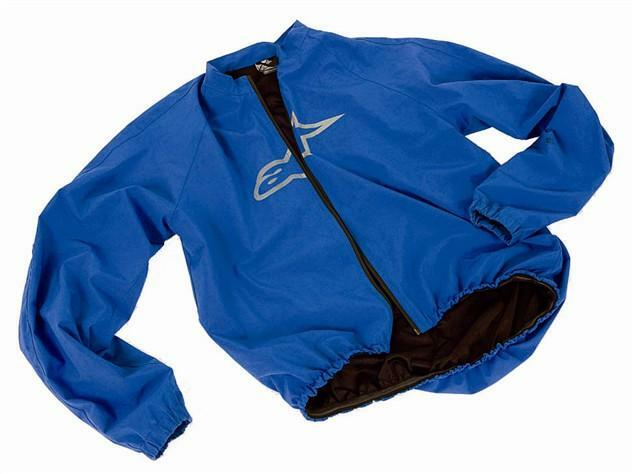 But for the sake of cramming it into a daysack or under the seat, the Eclipse jacket is hard to justify leaving behind. It’s been pretty much everywhere I have and always gets an outing. If it starts raining you can have it on in seconds, even when you’re wearing a one piece suit. That said I do have to ask an innocent by stander to pull me out of it if I’m in full leathers. It also works as a paddock jacket with jeans. The perfect product, expensive but justifiably so.